It’s Features includes 1) Supporting asynchronous testing. 2) Making use of 'spies' for implementing test doubles and 3) Supporting testing of front-end code through a front-end extension of Jasmine called Jasmine-jQuery. As far as it’s benefits are concerned, the aim of Jasmine is to be browser, framework, platform and language independent. Besides it’s behavioral driven development, Jasmine also supports test driven development. Adding unit testing support to existing web projects. Using Jasmine framework as testing run-time. RAD now bundles Jasmine to offer the Always-Present out-of-the-box experience. Here user can use any Jasmine version. Just need to specify the path to the library and RAD would do the rest to use and include it in the project. Creating Test runners and discovering the test files as well in the same test project or spanning in different projects across the work-space. This test runner creation wizard adds the required artifacts to quickly run the tests as soon as the test runner is created. Whether user is using static or dynamic web projects, He/She can deploy the unit test application to Web Preview server, WebSphere Application Server Liberty Profile or full profile etc. Sharing the test projects with other developers and version it using a SCM, such as Rational Team Concert or Git. 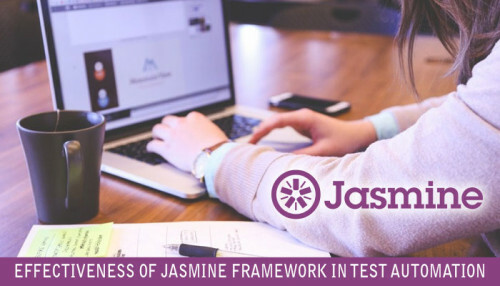 Our in-depth understanding and expertise in this area reflects in our execution methodology; Ensuring our valued clients get the benefits of all the powerful and robust features offered by Jasmine framework. Jasmine Framework test development has been a unique service offering at OdiTek. We have a Certified and qualified expert team with more than Five years of experience, helping to automate the application. OdiTek delivers exceptional and high quality applications for it’s valued customers in long run. In today’s world of Headless Drupal, Device agnostic development, Chatbot OdiTk embrace the use of many java-script frameworks. For us, It is also important that the development has a BDD testing aligned to ensure an out-side in methodology.